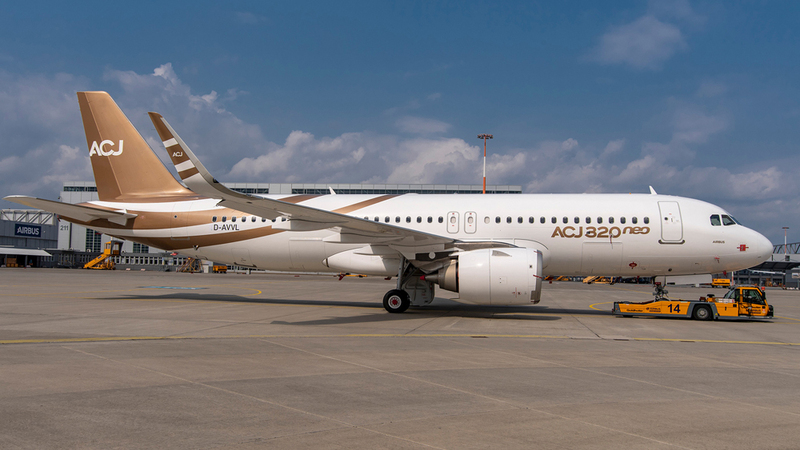 Airbus Corporate Jets (ACJ) pushed its newest bird out of the nest, sending off the first ACJ320neo on its inaugural flight. 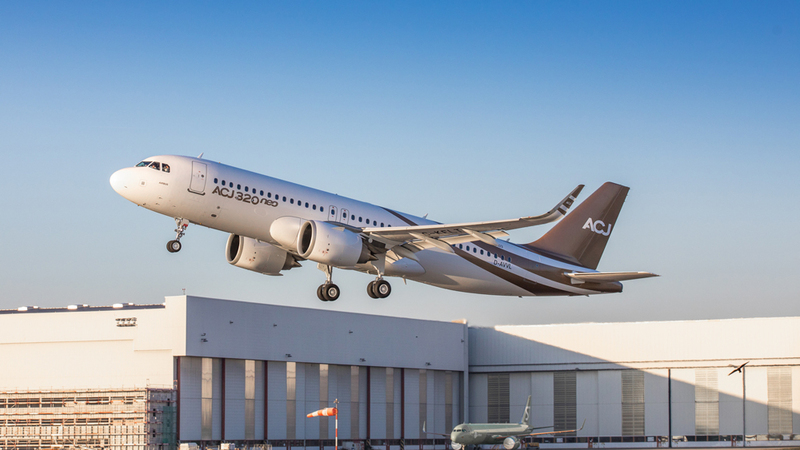 The corporate version of the Airbus A320neo jetliner, the new aircraft departed from Airbus’s factory in Hamburg, Germany, bound for Basel, Switzerland, where it will have its cabin interior completed and its exterior repainted in the acquiring company’s livery. The new business jet can seat up to 19 passengers, though private owners can outfit the jet however they see fit. Either way, you won’t be at a loss for space: its cabin is a just shy of 3.7 metres in length and its width comes in at 12 feet and two inches. And you can be sure none of your guests will have to stoop (except for the tallest of NBA players) thanks to its 2.26-metre cabin height.